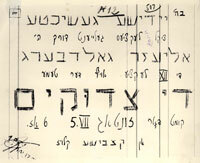 Until the Kovno aktion in April 1943 the Jews were not accustomed to recite the kaddish prayer for the people who had been taken to Ponary because their fate was unknown… Although there were people who claimed that the meaning of "Ponary" was known, they weren't going rely on their own opinion to recite kaddish for their family members that had been sent there. The majority of Vilna's rabbis were murdered during the aktions. 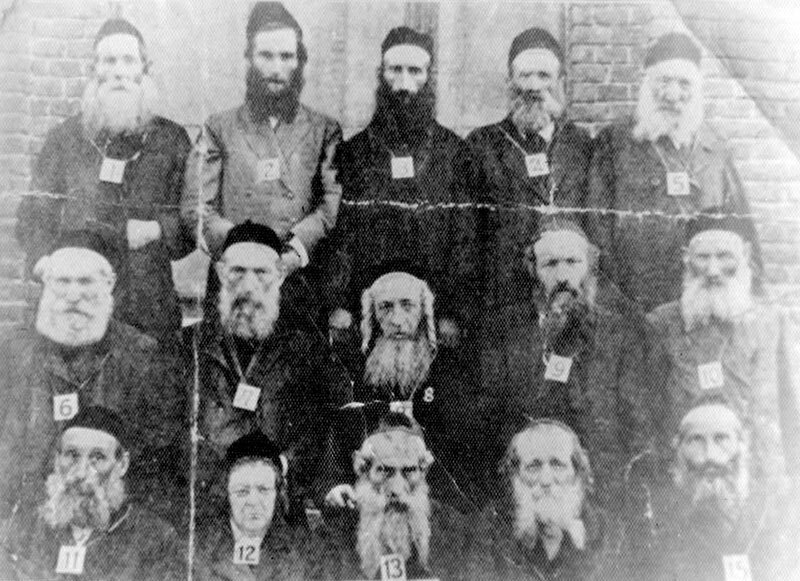 Religious Jews struggled to maintain a religious way of life in the ghetto. People were forced to work for the Germans on the Sabbath and on religious holidays. There were three synagogues in the ghetto and about 70 Torah scrolls, mostly in batei midrash (study halls). Outside the ghetto, Torah scrolls and finials from destroyed synagogues were buried. A Jew who found a holy book would bring it to one of the batei midrash, which ultimately became filled with books. 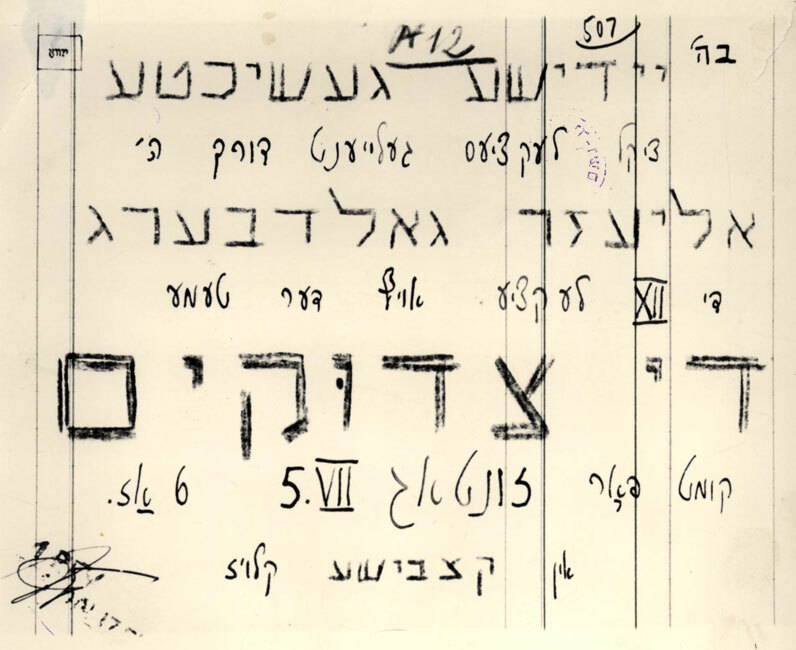 Following the aktion targeting people without yellow scheins, the religious circles convened and sent a delegation of rabbis - Mendel Zalmanovitch, Dov-Ber Pilowski and Yitzhak Kurnis Gustmann - to Jacob Gens, head of the ghetto. They told him that according to Jewish Law it was permitted to deliver a Jew to the authorities if an individual had been specifically requested, pointed out or had committed a crime. However, it was forbidden to turn over a Jew if the authorities had not requested a specific individual… The rabbis informed Gens that he was not permitted to select Jews and to deliver them to the hands of the Germans in accordance with their demands. Gens justified himself by means of saying that his cooperation in the selection and arrest of a reduced number Jews, saved all the others from death. A religious primary school and a yeshiva were held in the synagogue. Matzohs (unleavened bread) were baked for Passover. On Succot a few Succahs (temporary huts) were erected and on Simchat Torah they danced hakafot. The Judenrat did not have a department or financial support for religious affairs but the "Public Committee for Social Work" provided financial support for the religious primary school. During the period of the aktions there were people whose religious faith weakened, alongside those who did not lose their religious enthusiasm or belief in the redemption to come after the horrors.